Okay so if you’re reading this then there’s a 99% chance that you’ve done the L’Oreal head swoosh and pouted the words, “Because I’m worth it!” whilst giving yourself some serious eye squinting action in the mirror. And you know what? We ARE worth it, as are our flowing locks! That when we refer to our hair as being either fine, medium or coarse, we mean that each individual hair is fine, medium or coarse. The texture of our hair is determined by the circumference and the condition of the cuticle in each of our hair strands! Fine hair has a small circumference and a closed cuticle, coarse/thick hair has a much larger circumference and the cuticle will be more open. The lovely ladies over at Glamour did a survey that found a huge 78% of men considered healthy hair to be a turn on, and 44% said that hair is the first thing they notice about a woman, followed by her clothes (26%), her legs (swit swoo! 25%) and her make-up (4%). Also, the average woman spends a leg quivering £26,500 on her hair over her lifetime, and a full year just styling it, but how much do we really know about taking good care of our hair? This guest post has been bought to A Yellow Brick Blog by the fabulous (and clever!) people at Viviscal. They recently contacted me and started chatting about hair... and not just hair but - hair growth, hairstyles, hairlengths, hair types, extensions and general good health - I learnt so much that I just knew I had to share it all with you lovely lot! What fascinated me alot was the "hair cycle" - something I had never really giving my thought too before until I read about it on their site - here and watched their video on it - below! 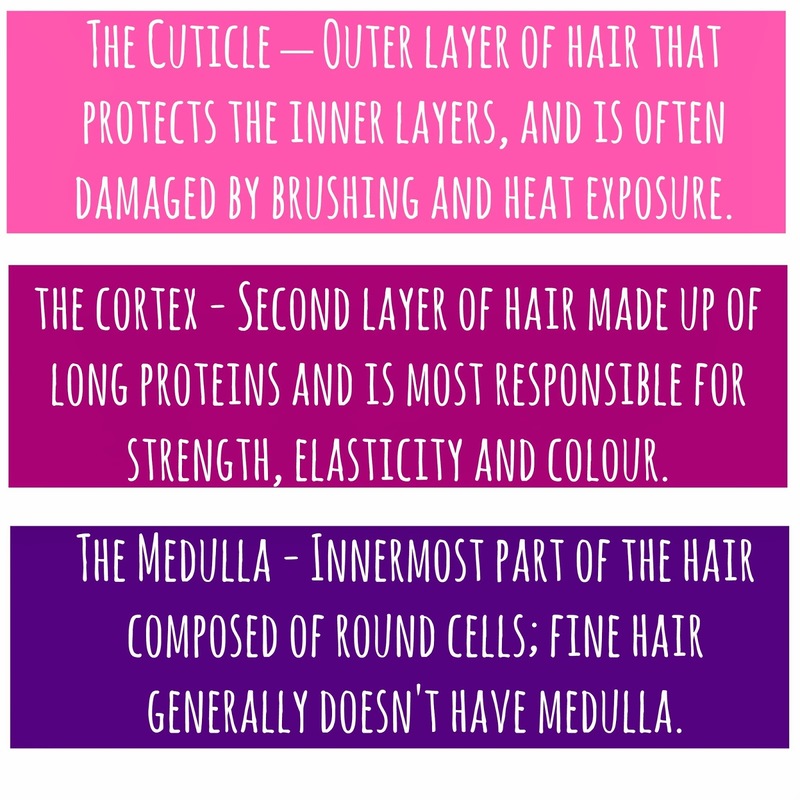 Now time its time for some lovely facts, tips and general information all about the different hair types and how to maintain and care for them in the best way possible. Our hair grows, stops growing, falls out and then starts growing again continually throughout our lives. However, if something happens to stop this process of renewal, the hair will not replace itself and we will go bald… (Yikes!) But lucky for you ladies, we’ve got all the facts and tips you need to keep those tresses looking fabulous forever! So, which type of hair do I have? Fine Hair: Fine hair contains more cuticle than normal/coarse hair and it has more cuticle scales that want to repel each other! This means that you are more prone to static hair, and more of those annoying fly-aways we all despair of. It is also more prone to breakages and split ends through styling, grooming and general day-to-day life. Fine hair also tends to get limp and greasy quicker (sorry, ladies!) It feels thinner and lacks natural body and bounce; however, it’s not all bad news! Fine hair is more versatile meaning you can try out more adventurous hairstyles, and it reflects light easier giving it that lovely shiny, swooshy effect. Yay! Normal Hair: Well, well, well… Aren’t you the lucky lady! Some of us are blessed with ‘normal’ hair, which can be a balance of dry/oily hair, but in a good way! Normal hair has all the lovely nutrients to keep it looking vibrant and shiny without appearing greasy, meaning it naturally has a good moisture balance. But this doesn’t mean to say you don’t need to look after it. Day-to-day stresses such as heat exposure and the weather can still leave normal hair needing some love and attention, and those split ends can still creep up on you – so watch out! Coarse/Thick Hair: This type of hair has the largest strand diameter, meaning it has higher protein content than other hair types – lovely! This means your hair is doused in all the good stuff, however due to the density of the hair strands, coarse hair is able to absorb up to 40% more moisture – meaning it’s difficult to maintain a sleek, smooth style. This hair is more prone to damage at the surface due to the fact it has overlapping cuticle layers, so you have to be extra careful when using heat on those luscious locks! So, how do I wash it? Fine Hair: As this type is more prone to greasiness, the best way to take care of your fine hair is to wash it every day! Yep you heard me, every day. And although it might seem counterproductive, pop lots of conditioner on to revive limp strands and to keep them protected from damage. 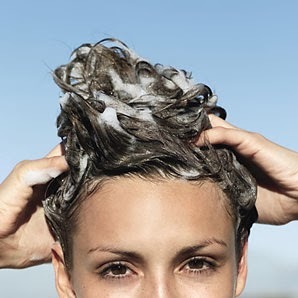 Normal Hair: To keep your natural moisture balance use both shampoo and conditioner when you wash your hair, although it doesn’t have to be every day. As you already have lovely moisturised hair you don’t have to worry about it being greasy, however, try to avoid touching it all the time as this will make it extra oily! Coarse/Thick Hair: As the density of thick, coarse hair makes it harder to maintain a soft, smooth look the best thing to do for your hair is to condition it, lots! Make sure you give it a really good rinse too, to get any excess moisture out so it doesn’t look greasy. Coarse hair is more vulnerable to frizz and ‘big hair’ syndrome (not in the Cheryl Cole way, either) so a deep conditioning treatment from time to time would give it the little treat it needs to maintain a fuller, healthy head of hair! So, how do I style it? Fine Hair: It’s really important to try and stay away from heat as much as possible, so avoid the straighteners and blow-dryer as much as you can! Try and wash it on an evening and then give it a little towel dry, then let it do the rest for itself. Fine hair is more resistant to twisting, so curly hair styles will be more difficult to maintain, but a cute bun or a high pony will look great! Plus they will keep your hair in place – avoiding damage. If you want to go for a more volumised look (of course you do) then use a nice big round brush when blow-drying (to a minimum!) Short hair cuts are generally better for fine hair, so pick a style that suits your face shape, and layers are an amazing way to create a fuller, thicker feel. Normal Hair: However you want! Make sure you get regular haircuts to get rid of any annoying split ends, and keep it looking fresh and healthy. Keeping heat to a minimum is recommended for all hair types; however you have a little bit more freedom… so get experimenting! 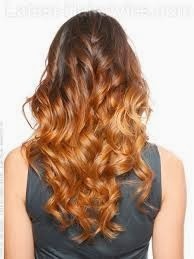 Highlight your gorgeous hair by trying out new styles, wear it down and show it off, using tongs or preferably rollers to create big glamorous curls that will really extenuate the natural volume and texture of your hair. Coarse/Thick Hair: Coarse hair has a lack of flexibility, meaning it doesn’t bend as easily as other hair types so can sometimes be difficult to curl or style in a certain way. Its absolutely full of body, but can be heavy and uncomfortable. 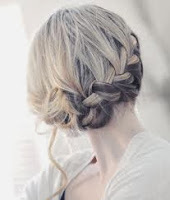 A good way to enhance your thick hair is to wear it in a fancy French braid, or try out a few braided styles or up do’s that will keep your hair out of your face, as well as looking elegant and sophisticated. Try and stay away from hair products that contain alcohol, and use a wide tooth comb instead of a brush to keep the frizziness at bay! So, what foods can I eat to give my hair a healthy boost? Fine Hair: Fine hair can become brittle and dry, so foods containing fatty acids are a god send for treating your scalp to a health kick! Oysters: Oysters are powerful antioxidants that also contain Zinc, which is an absolute essential for healthy hair and scalp. Eggs: Eggs are the best source of protein out there, one of the main elements that makes up your hair! They contain Vitamin B-12 and biotin, so get making those omelettes! Normal Hair: Although normal hair contains the most natural vitamins and minerals, it is still important to maintain them, so eating food with lots of protein in will make sure you hair stays at its best. Low fat dairy: Products such as low fat yogurts and milk are packed with protein, and will ensure that your shiny hair doesn’t fade! Beans: Kidney beans and lentils are a great source of protein, but they also contain Zinc and iron which ensures your hair gets an all-round touch up, perfect. Coarse/Thick Hair: This type of hair contains the most protein, so you want to pack it full of vitamins to keep it full and bouncy. Nuts: Brazil nuts are the best source of selenium, which is a really important mineral to maintain a nice, healthy scalp. Whole grains: Breads and cereals are perfect whole grain sources, they contain Zinc, Iron and Vitamin B, so its buy 2 get one free! Bargain. Carrots: Carrots contain vitamin A, which is really important for keeping your scalp in good condition; after all, this is where your hairs come from! So, what else can I do to look after my hair? 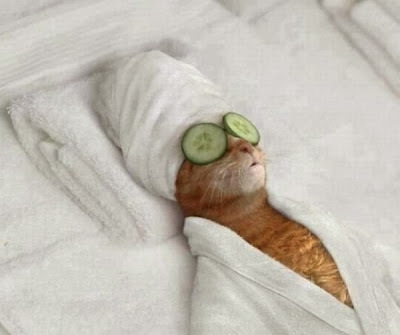 Take a long bath – Everyone knows a nice, long candle lit bubble bath solves many a problem. Read a book – A good way to unwind is to lose yourself in a good book, preferably one with a nice handsome man in. Go for a walk – Getting some fresh air can work wonders for us, so wrap up warm and take a walk. You can go with a friend or pop your earphones in and have a leisurely stroll to your favourite music. Get plenty of exercise – Exercise is one of the best ways to relieve any kind of stress! It releases endorphins that naturally make you feel calmer, and more relaxed. Go for a massage – There’s no better way to relax than to lay back and do nothing while a stranger works their magic on all your tense bits, and you might even fall asleep on the table! Hope you girls and guys have liked this post - it's a bit different to what I normally have on A Yellow Brick Blog but like I said before I really enjoyed reading this and learning more about haircare and how it works so I hope you have too! Images all from google. I am not in any way shape or form being sponsored or compensated for this post.